Super easy and super cute skirt for school and play . 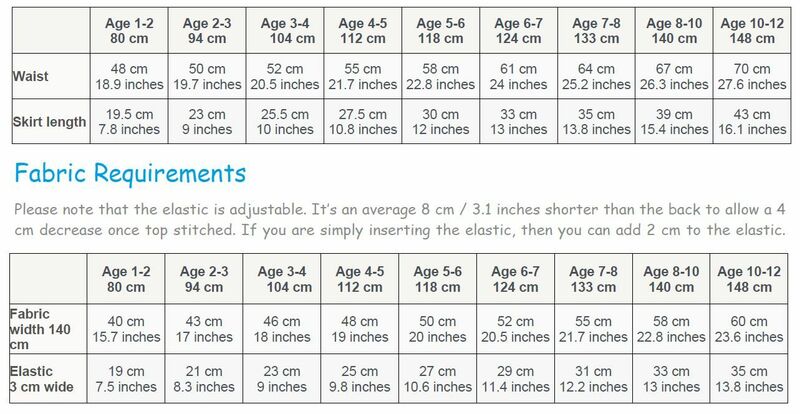 Sewing pattern for age 1-12. Our wrap skirt Jutta is simply a must have staple. It is easy to make and fits and looks just great. 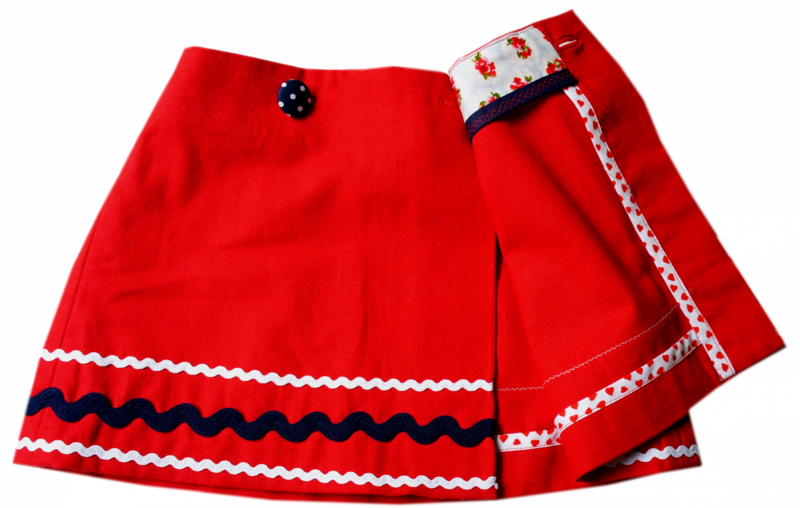 If you are a beginner and have made a simple elasticated skirt then this is a great next step up. Wrap skirts are very comfortable and this beauty with its elasticated back is 'über' comfy. It is unlined, so its great for the summer too. To create a really sharp look I added facings to the front and the waistband. You can bind them with bias binding for a stunning look or simply serge, when you are a beginner. A video course for every step. Just check out the content below, the videos are free!